St. Thomas of Canterbury Episcopal Church helps serve the needs of the homeless and others of limited means in our community through the Community Mission of Hope. We collect food --- including pet food --- and personal hygiene products and periodically deliver them to CMoH for distribution. This is an on-going program, not a seasonal fund drive, so please contribute throughout the year! Place donated item in the baskets found in the narthex. 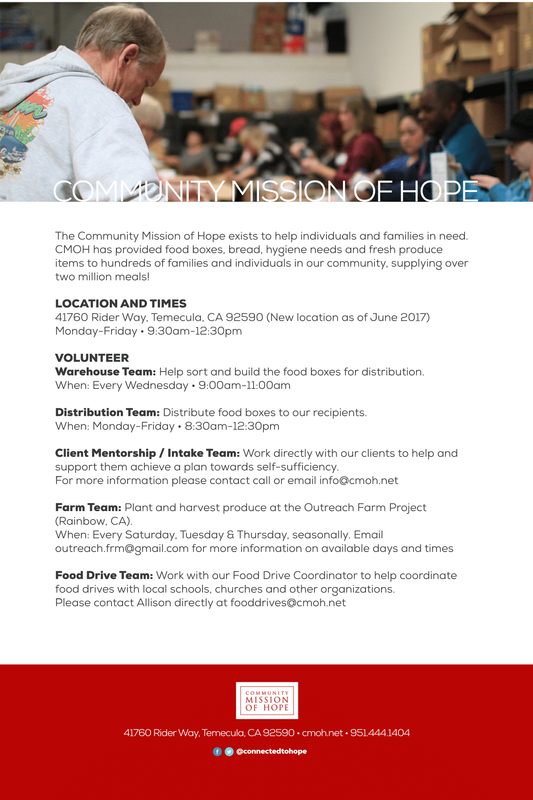 Also please note that the Community Mission of Hope is looking for volunteers for various functions in their operation.